Eager to test out the demo for Left 4 Dead 2, but didn't pre-order, or lucky enough to get a preorder code? Wait no longer, my undead slaying friend! 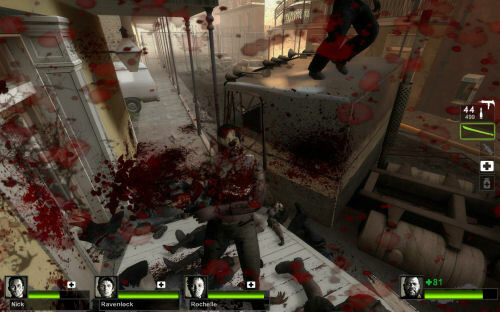 The Xbox 360 demo for Left 4 Dead 2 is now available in all regions. The demo takes the four new survivors through New Orleans, and by all accounts shows off all the new bells and whistles quite nicely. Add the demo download to your queue here, and reread Nick's impressions of the PC demo to keep you occupied until you can dash home and play. Is it quitting time yet? Expect the demo on Steam later today for everyone else as well. Page created in 0.2819 seconds.